The post-2015 agenda is coming into the spotlight. The proliferation of interest in the agenda-setting process and the sustainable development goals (SDGs) follows the recent meetings of the United Nations Open Working Group at which, for the first time, a draft of the next set of global development goals was available for scrutiny. The Open Working Groups are one of a number of parallel work streams that together constitute the post-2015 process. Each stream has a distinct mandate and formulation; the sum of which will determine global developmental efforts and resource flows for the next fifteen years. Most notable amongst these are the United Nations High Level Panel, co-chaired by David Cameron, the United Nations Open Working Groups (OWG), the United Nations Task Team on Post 2015, Thematic and Country consultations and various non-official processes and coalitions which are nonetheless highly consequential and effective in influencing the agenda-setting process including the civil society-NGO coalition, Beyond 2015, and the Sustainable Development Solutions Network. The latest draft of the ‘Proposed Goal’ Working Document is the product of a long series of negotiations and meetings between representatives from across the United Nations’ member states. This preliminary draft is one step closer to a final document, but there is some way to go before we approach agreement on set of priorities, and beyond that a set of goals. The document presented at the 12th OWG Meeting outlined 17 ‘proposed goals’ including: ‘Attain healthy life for all at all ages’ and ‘Promote sustainable Industrialisation’; each goal comprises a set of more specific targets. With increased coverage comes increased scrutiny. The OWG meetings invite inputs from a wide range of interest groups, representing private and public interests, community-based and non-governmental organisations, amongst other stakeholders. What constitutes a ‘focus area’, the language of the goals and the process of goal-setting itself are all being examined. Arising from the accompanying commentary and policy discourse analysis are three key criticisms of the SDG process and progress to date. Firstly, despite ubiquitous rhetoric on cross-sector thinking, joined-up goal-setting and interdisciplinarity, the list of target areas remains highly sectoral, with little indication that strategic thought has been put in place to take advantage of the complex interactions, positive or negative, that occur between sectors. Not only does the current agenda fail to recognise the complexity of real-world development, it also emboldens the prioritisation of one sector at the expense of another. Secondly, whilst the discussions are currently focused on the goal setting itself, as they are likely to remain until the United Nations General Assembly in September 2015 when the targets are finally agreed, the real work begins afterwards and continues for at least the next 15 years. 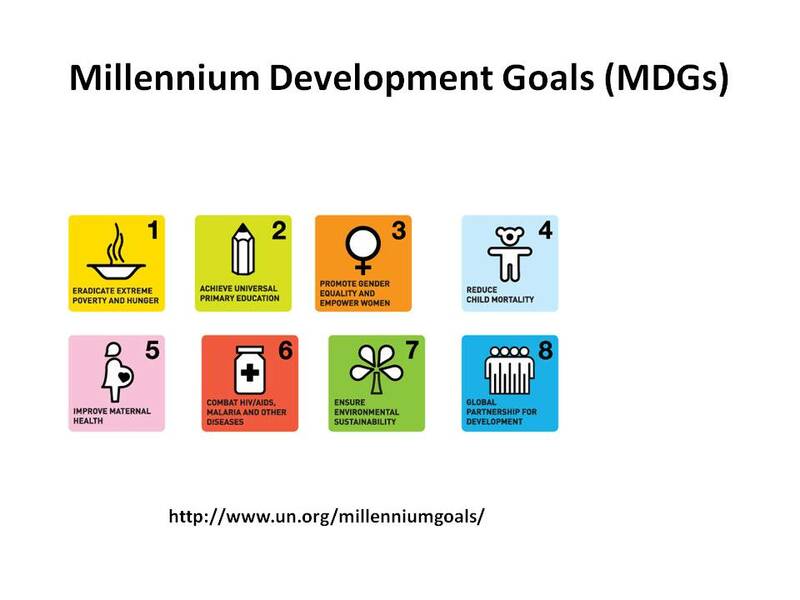 Following the adoption of the sustainable development goals in 2015, multi-lateral organisations, national and local governments, and community and private sector organisations are going to have to make difficult decisions about how best to develop policies to achieve the targets. Lastly, despite the welcome emphasis on the need to ‘Strengthen and enhance the means of implementation and global partnership for sustainable development,’ efforts to achieve this are a long way from producing a coherent, integrated, mutually-supportive framework. LIDC’s current project, Thinking Beyond Sectors for Sustainable Development, aims to precisely address these concerns. Over thirty academics from across LIDC Colleges and University College London are exploring the governance challenges implicit in the sustainable development goals and the opportunities for productive synergies between sector targets. By exploring a number of case studies where different target areas interact, the project aims to identify hidden challenges and opportunities for transformative, positive change. In particular, LIDC’s work aims to bring sectors together, breaking down the boundaries that often separate people who have different backgrounds and disciplines. Bringing sectors together, crossing their borders, and seeing how cross-sectoral concerns could be addressed will strengthen the goals, capture the involvement of everyone in development, and avoid diminishing topics or issues simply because they do not fit into a particular category. Problems generating through focusing too narrowly can also be avoided, with climate change being an example. Much of the development and donor agenda has been dominated recently by climate change, even though it can be unclear what new elements climate change brings to the table. There is no doubt that climate change must be addressed, through reducing greenhouse gas emissions (which is the same as pollution prevention), through sustainable land use practices (which we need anyway), and through adapting to the rapidly changing climate (which is one element of disaster risk reduction since it, by definition, addresses all environmental hazards, short-term and long-term). Isolating climate change – making it a field unto itself with goals unto itself – can lead to sustainability problems. For example, energy-efficient schools are needed, but contribute little to development in countries where girls are discouraged from attending. Hospitals ought to be built outside of floodplains expected to expand due to climate change, but should not fall down in the next earthquake, meaning that hospitals should be made multi-hazard resilient, irrespective of climate change. By placing climate change within wider disaster, development, and sustainability contexts, climate change will be addressed, yet not at the expense of other concerns. Instead, no sector will neglect climate change and no sector will be dominated by climate change. This would achieve a balance which is needed across all the sustainable development goals: no sector neglected and no sector dominating. Thinking Beyond Sectors continues over the summer months towards producing a number of outputs designed to help national and local governments around the world to interpret and action the sustainable development goals. Contributed by Chris Yap, Research Assistant, LIDC, and Dr Ilan Kelman, Reader in Risk, Resilience and Global Health, Institute for Risk and Disaster Reduction & Institute for Global Health, University College London. « Bloomsbury Humanitarian Debate: Do we have to choose between saving lives today and saving lives tomorrow?